PeachyKeen is in the energy business - the human energy business. PeachyKeen designs and manufactures products that utilise human movement to generate electricity; the electronics to manage the electricity; and the activities to utilise the electricity. The focus of our equipment is the creation of electricity in an enjoyable, interactive way that enables people to improve their fitness, yet our technology can be practically applied to a variety of environments. 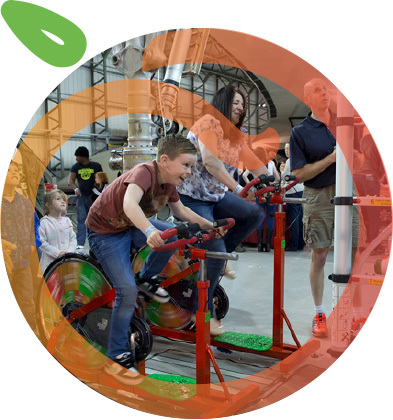 PeachyKeen has bespoke events expertise that enables us to create fun, human energy powered equipment specific to customer requirements across all sectors. Imagine you could harness the power you exert during your gym session to power the lights or the TV, you can with PeachyKeen! Human Energy Play Park PeachyKeen Human Energy Play Park: designed to Educate, Exercise and Entertain…. PeachyKeen strives to symbiotically conduct our business and personal lives in a spirit of harmony and peace. At one with our environment. We believe in training the mind as well as the body, and exemplify discipline, selfcontrol, self-confidence, and a genuine respect and interest for others. cycling for 30 minutes can generate enough energy to power your TV for up to 1 hour! putting big ideas into little heads! 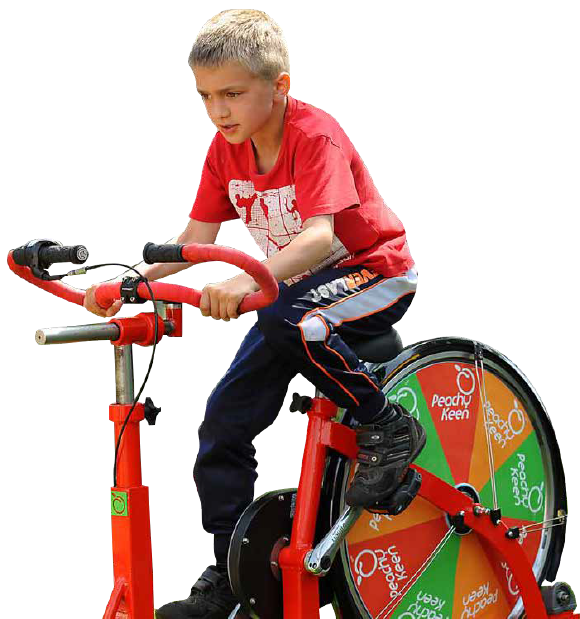 working closely with schools we can show the potential of using human energy such as pedal power to illuminate a light tower and much, much more!